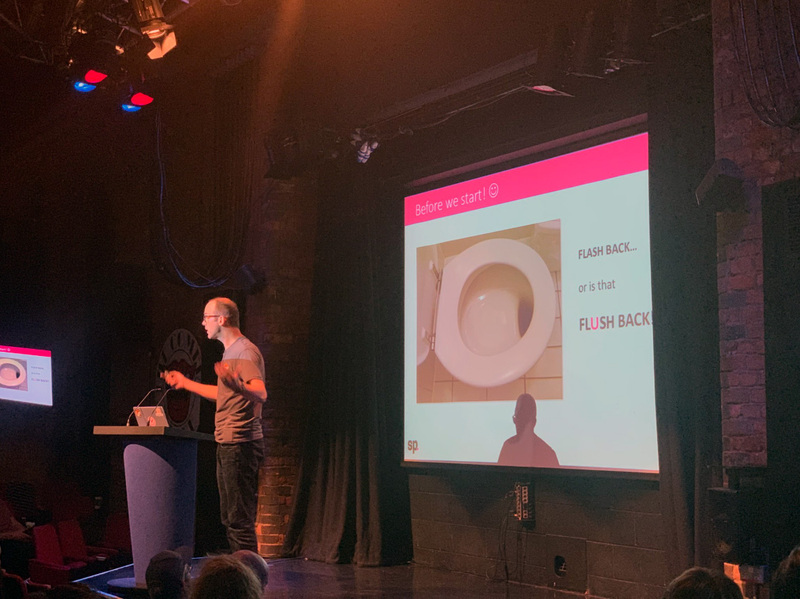 Tadhg Bowe became a little flush after receiving a nomination for ‘slide of the day’ at the Mage Titans 2018 conference in Manchester. It was a fantastic day. 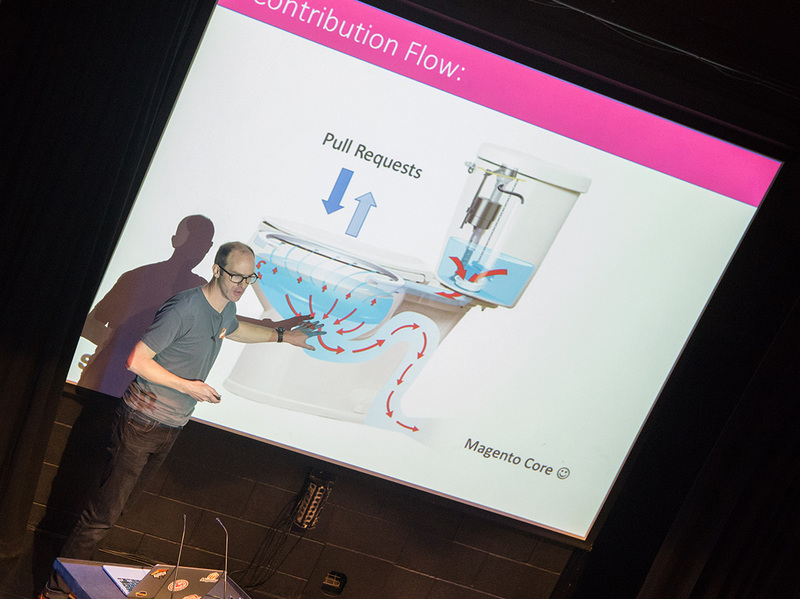 Tadhg talked about the very important subject of contributing to Magento community engineering projects. 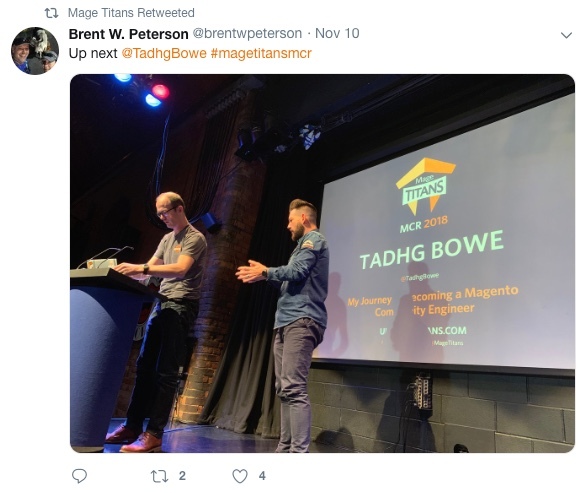 Mage Titans is THE event for Magento developers. It is a great learning environment, showcasing the leading names in Magento alongside the rising stars of the community. 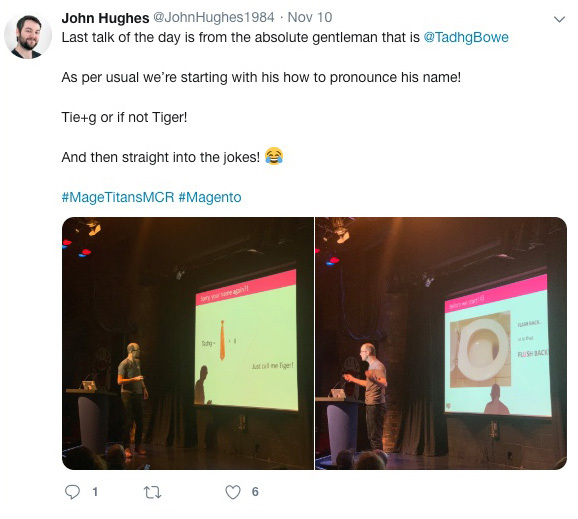 Screen Pages’ very own Tadhg Bowe is already well respected for his contribution to the Magento community. “I love this community!” he declared on stage. And that is no lie. 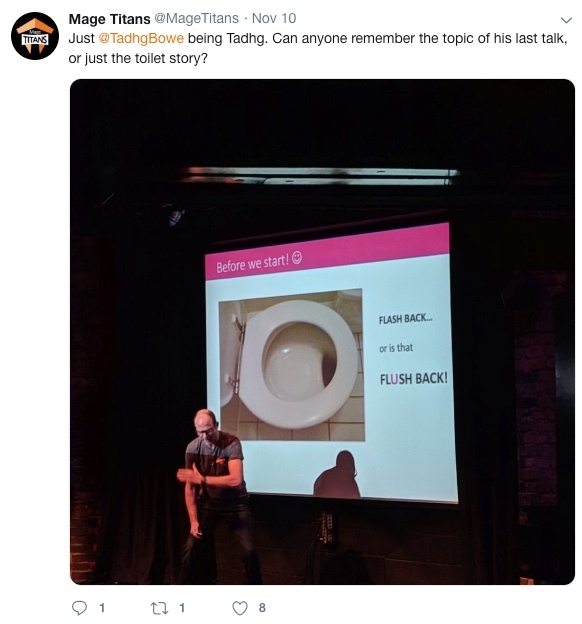 But now it appears he is garnering a new reputation for his humour: His use of simile / analogy / metaphor (depending on your perspective) on many slides certainly captures the audience’s attention. After a long day of absorbing talks, being last on stage was never going to be easy. But as Tadhg puts it: “ah sure it was grand”. It so it was. Nearly 2 grand! 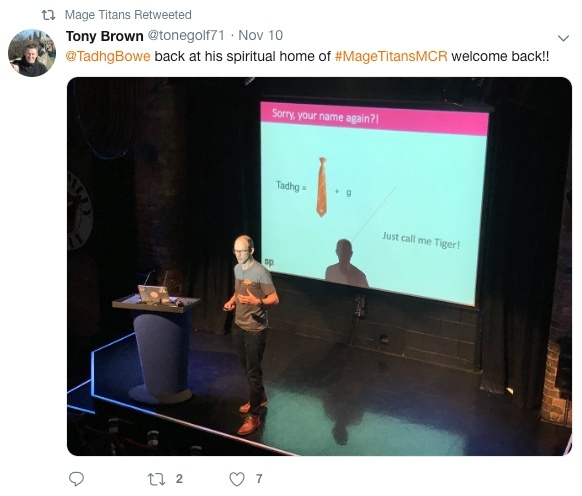 Well done to everybody involved with Mage Titans including the many wonderful sponsors. Long may this event continue!